When I was setting up my classroom for the 2018-2019 school year, I tweeted a picture of the only decoration I had up at the moment (see the featured image above). Moments later, Melissa-Ann Pero (@bshsmspero) thanks me for posting it, and says she’s going to make herself one. A bit later on, she tweeted her creation, giving credit to Kelly Gallagher (@KellyGToGo) for RADaR and mentioning me in the process. And in my small Twitter world, the tweet caught fire. At the time of this writing, the post has been liked 305 times and retweeted 118 times! What is the Goal of Teaching? To get students college and career ready? To help students achieve their highest earning potential? It might sound a little strange, but I like to think that my goal as a teacher is to work myself out of the job. When I say this, I am picturing the tradition of an apprentice learning from a master in his or her craft. Eventually the apprentice learns enough to take the show on the road alone and no longer needs the instruction of the master. This is how I I would like to view my relationship with my students. If that’s really the goal of my teaching, then my students need to be ready to do everything that I am teaching them without me. They should not have to constantly run to me for validation, “What do you think? Am I doing this right? How good/bad is this?” Let’s think back to those pre-teaching years of our adult lives, when we first entered the world of work. In our time as employees, imagine if we did what I’m describing with our bosses. Imagine that we constantly knocked on their door to run everything by them. How frustrated would the boss be? And, as bosses, how effective would they be at their job if they had to stop and assess every little task their employees were performing? I imagine that company would go under pretty quick. My FREE Online Course: Why You Should Sign Up Today! 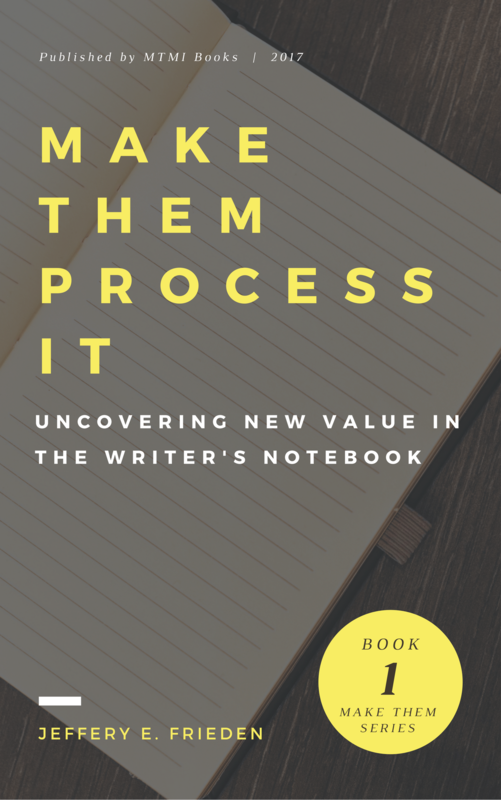 ELA teachers, when it comes to writing instruction, I have found no other method, tool, or program that has as much impact as The Writer’s Notebook. Yes, there are great strategies around every corner, many of which you and I are currently using in your classroom. But how would you like to amplify their effect, taking them further than you thought possible? In my seventh year of teaching, when I was really hitting my stride as a classroom instructor, I was ready to quit. I didn’t want to. I loved teaching. The best way to put it is that I had hit a crisis. In plainest terms, people experience crisis when their behavior and choice patterns no longer work work for them, requiring some kind of change. Another way to put it is, “What has ‘worked’ up until this point WILL NOT work from here on out.” That was me. I felt stuck in an endless loop that was wearing me down more and more each day.